Capitalist civilization is a political, economic and cultural system that is endangering the biological and social system of the Earth (Gaia) as well as the life of all the peoples, so that the Maitriyana is a revolutionary practice that teaches the Way towards a new era of humanity through the profound transformation that the Peak Knowledge (Satori) initiates facing the challenges of the future. The libertarian meditation banishes the use of rituals and dogmas, by teaching the Cure (Nirvana) from the evils of war, poverty, ignorance and pollution which both West and East suffer. Buddhist Socialism is committed to resolve the world problems, emerging as a force which globally transmits the values of peace, social justice, human rights and environmental harmony. Thus the tradition of Revolutionarily Engaged Spirituality is the Path to the Salvation of humanity by opening a new chapter in history. By being an ethical practice, the Maitriyana is a new style or paradigm of the Liberation, being the New Vehicle (Navayana) in the evolution of the Spiritual Purpose (Dharma), such as Gautama and Ambedkar were able to envision. The Buddhist Socialism is a revolutionary orientation that reflects an attitude in favour of the personal and social Liberation, so that it is the highest embodiment of the socially engaged ethics and the discipline of virtue and altruism. Therefore, the Maitriyana is the culmination and synthesis of all traditions, teachings and techniques which have sought the evanescence of suffering in the world. Thus, the Buddhist Socialism is the libertarian manifesto of Gautama and Ambedkar to liberate, re-educate and save the world, offering an intense spiritual practice of Detachment towards family, culture and capitalism. This involves promoting a peaceful, fair, cultured and harmonious society, which is able to fulfil all the highest and postmodern possibilities. In this sense, Maitriyana is a countercultural human rights tradition, so that it builds a libertarian socialist civilization of an ecumenical style. The essence of the look of Buddhist Socialism is the recognition that the spiritual nature of the human being must be updated both at a personal level and at a community level. This implies that the revolutionary contemplation (kakumei-zen) seeks to transcend both the Ego and the political and cultural institutions, by teaching the subject to banish the internal causes of suffering but also to promote the social development of the world. In fact, the libertarian meditation induces the apprentice to perceive that the process of dealienation is a Liberation or Salvation of the inner and outer world. Certainly, the intersubjective and linking structure of mind demonstrates that the very notion of subject is an effect of the social, and vice versa. Therefore, psychology, philosophy and politics are completely interrelated fields. In contrast to the cultural and religious system, the spiritual commune (Sangha) founded by Gautama had a fluid and spontaneous structure, teaching their apprentices to practice a sacred life style detached from governments and temples, to thereby form part of an ethical and mystical counterculture in which the individual is free and finds a spiritual home. Currently the Maitriyana has a complex dynamic because it assumes the universal mission of being the voice of planetary consciousness, guiding the peoples towards the change and evolution of mind and society. This constant spiritual guidance includes political and religious organizations from around the world. In this way the Buddhist Socialism is a Perennial Cultural Revolution, providing an advanced compassionate wisdom (karuna-prajña) along with social activism in pursuit of peace, social justice, education and ecology. It is in this context of social engagement with the suffering of the people that the Maitriyana emerges as a tradition of equality and Liberation facing the oppression of the political, economic and cultural system. The style of Buddhist Socialism is a Way in favour of the human rights and the progress in every area of life, listening and responding to the cry of the fellow being due to the universal responsibility which the Free and Enlightened Being (Arhat-Bodhisattva) has. Thus, the Maitriyana is the supreme incarnation of the vow to save all beings, acting in the world through the universal compassionate wisdom (maha karuna-prajña). When an apprentice practices the revolutionary contemplation (kakumei-zen) he can perceive the Real, so then he inevitably acts in order to correctly resolve the world problems through Mindfulness. Therefore, Buddhist Socialism is a metapolitical way of doing good and curing humanity and the Earth (Gaia), because once it is perceived that there is no distinction between one and the others the Spiritual Love then drives the individual to help the whole Creation. This Socially Engaged Spirituality initiated by Gautama and Ambedkar influenced spiritual teachers such as Thich Nhat Hanh, Robert Aitken and Bernard Glassman, whose social philosophy is consistent with the compassionate wisdom (karuna-prajña) of the great Awakened Ones (Buddhas) of History. The libertarian meditation penetrates into the apprentice as a present moment awareness, which involves perceiving what is really happening in the inner and outer world, but most of all it involves understanding how to change it, recalling the spiritual nature of the True Being. In the Maitriyana, the Free and Enlightened Being (Arhat-Bodhisattva) is a heroic and saviour figure which provides an understanding and inspiration for the peoples of all cultures, by teaching that the True Self is Interexistence with all beings. From this experience of interdependence, unity and empathy, the subject becomes aware of the suffering of the other, dissolving the shackles of selfishness, dualism and consumerism. This allows an evolution of his emotions and feelings, to thus give way to the event of the Spiritual Love (metta), sympathy (Anukampa), compassion (karuna) and equanimity (upekkha), understanding at all times that the suffering of the fellow being is also his own suffering. In this sense, the Buddhist Socialism experiences a prophetic compulsion to oppose war, social injustice, ignorance and contamination, thus emerging in contemporary civilization as a peaceful, egalitarian and heroic action that transmits the metapolitical values of democratization, laicism, feminism, pragmatism, observation, agnosticism and communism. The Maitriyana collectively emerges to directly and indirectly influence to governmental or cultural collective institutions, which might seem like a new kind of Spirituality or Neo-Buddhism, although it certainly is about the ancient practice of Mindfulness in daily life. Therefore, spiritual masters such as Thich Nhat Hanh, Venerable Khemadhammo and the Dalai Lama usually express that all Buddhist Spirituality is intrinsically engaged. The universal responsibility of the Buddhist Socialism is an approach of revolutionary political activism, considering optimistically that practicing revolutionary contemplation (kakumei-zen) in the everyday life can influence and establish new institutional forms. This is because the Spiritual Love towards the fellow being promotes a society based on the ethical principles of the Purpose (Dharma), so that the practice of Detachment has a social reach which can even redirect governments towards responsibility. The Maitriyana is a network of psychology, philosophy and politics, which seeks the Awakening (Bodhi) of mind, of the ideas and the society, being a multidimensional treatment for dissatisfaction (dukkha) present in all areas of the life. In the four noble truths discovered by Siddharta Gautama it is diagnosed the disease, its aetiology, the prescription for health and the treatment plan. At the same time, by the vision of the Buddhist Socialism, through the libertarian meditation, it is employed this traditional method for the Cure (Nirvana) of the phenomenal world, which is both internal and external, so that the impulses of attachment, aversion and unconsciousness are overcome, together with the forces of greed, hatred and delusion. This evanescence of the mental and social suffering is the way of sacred life of the Free and Enlightened Being (Arhat-Bodhisattva), which is mainly oriented to a committed service of Healing and Liberation of the others. This revolutionary practice of contemplation (kakumei-zen) is as indispensable as the moments of sitting meditation (zazen), helping the mind to make the much needed unity or transcendence of the individual-object dualism. In this sense, an apprentice who is alone in a cave practicing contemplation may be so committed to the Spirituality as the one who helps a sick, hungry or marginalised person. Ultimately, the purpose of libertarian meditation is finding the Wholeness of Life, and this can be practiced both in one’s mind and in the society. But, obviously, there is no possibility of bringing peace to the world if previously it has not been reached the own internal peace. This is the main difference between a spiritual master and a simple social activist, because the latter does not practice Mindfulness and Compassionate Wisdom (karuna-prajña) in his task of helping the other. The ethics of social commitment occupies a central place in the Maitriyana, along with the practical styles of discipline, virtue and altruism. The ethics (sila) of Buddhist Socialism is synthesized by saying that it has the vow to avoid evil, to cultivate good and save all beings. Thus, the revolutionary contemplation (kakumei-zen) is a discipline that seeks to convert every people of the world into a sacred dwelling (brahma vihara), by teaching the virtue (paramita) of serving others. This style of Spirituality leads the society from a primitive state towards an evolved one, banishing the forces of greed, hatred and delusion by means of an instruction (sasana) which leads to detachment, wisdom and compassion. This is the New Way (Navayana) of the Awakened Ones (Buddhas). Although the focus of the individual’s training is a meditation solitarily, certainly this kind of observation must be applied within society, given that the mind is composed of social relations. By purifying the psychism, therefore, also the link with the world is purified, generating compassion (karuna), joy (mudita), equanimity (upekkha) and love (metta) towards others. According to the Free and Enlightened Being (Arhat-Bodhisattva), one can only save the world by cultivating the virtues of generosity, ethics, courage, patience, contemplation and wisdom, since the virtuous motivations and modes drive the social revolutionary action. In this sense, the compassionate love is the greatest instrument for the personal and social transformation taking undoubted psychological and political benefits, since it leads to wellness of mind and the wellness of community. The altruistic social service based on Mindfulness, love and compassionate wisdom (karuna-prajña) is what the tradition of Maitriyana has inherited, whose heart is the cultivation of virtue, transforming the character of the apprentice while he is taught to achieve the future liberation of the world, stop the war, protect the oppressed ones, educate the ignorant and care for nature. These values accurately represent the Buddhist Socialism as a movement that promotes self-realization and self-transcendence both of the subject and of the commune through discipline, virtue, altruism and commitment. In the tradition of Maitriyana, the libertarian meditation is not merely a concern for others but also a revolutionary way to help them and guide them. Actually, the Buddhist Socialism does not ignore or deny the value of the spiritual development of the apprentice through the generosity, ethics, courage, patience, Mindfulness and wisdom, but it broadens these virtues so that everyone can reach the Awakening (Bodhi). The spiritual masters are the greatest practitioners of this virtuous and altruistic Purpose (Dharma) which has the Great Compassionate Wisdom (Maha Karuna-Prajña), that when emerging with the Cure (Nirvana) can save all humanity. In accordance with the Master Zhiyi, the Maitriyana makes the grandiose proclamation of the vow of Salvation of all beings, by practicing the ethics of commitment towards the production of a better society. The intimate structure of the revolutionary contemplation (kakumei-zen) is an advanced interrelationship between the ethical discipline and the values of generosity, altruism and compassionate wisdom (karuna-prajña) of the Free and Enlightened Being (Arhat-Bodhisattva). Thus the Buddhist Socialism produces a peaceful, prosperous, cultured and ecological community, by healing both the neurotic misery of the subject and the alienating suffering of the people. This entails to cope with political tyranny, economic injustice, cultural oppression and environmental degradation which are distinctive features of the capitalist civilization but also are of the Communist dictatorships. Ergo, the Maitriyana reflects a critical shift that leads the world through a libertarian socialist theory and practice. A perfect example of this metapolitical and mystical attitude can be found in the life of Gautama and Ambedkar, who fought to abolish the caste system through the true force, visualizing how to transform society through the direct action of compassionate wisdom (karuna-prajña). Therefore, spiritual masters are in favour of the reform of beliefs and practices both religious and government, since these institutional forms are the very expression of greed, hatred and delusion. Since these forces are social aspects of attachment, aversion and unconsciousness of mind, what that the Awakening (Bodhi) of consciousness achieves can also transform and liberate the society. In accordance with Gautama and Ambedkar, the Buddhist Socialism believes that direct democracy and education are the appropriate instruments to solve community issues and to non-violently stir up the social change, by building a new world on the basis of humanistic principles. The style of engaged and radical ethics of the altruist Way of Maitriyana aims at recreating new states of consciousness and new institutional relationships, causing the emergence of individual and social Cure (Nirvana) to which the Free and Enlightened Beings (Arhats-Bodhisattvas) such as Ashoka and Nichiren pointed. The New Way (Navayana) of the Buddhist Socialism, however, has been associated with the spiritual practice of Master Gautama since ancient times. This Path is similar to a raft, existing for the Purpose (Dharma) of navigating against the stream and never to be attached to the status quo, crossing towards the other shore of the Awakening (Bodhi). For this purpose the apprentice must abandon all belief or stereotype. The Maitriyana is a pacifist Way that evolves the tradition of non-violent revolutionary activism, even influencing all the great world religions to direct them towards purely spiritual ideas. Unlike the Way of the apprentice (Sravakayana) or Way of the Solitaire Awakened One (Pratyekabuddhayana), the Buddhist Socialism is the Unified Vehicle (Ekayana) that Gautama and Ambedkar followed. The Maitriyana is a Reconciling Way for many features, being centred around the Analytical-Existential-Libertarian Discourse (Buddha-Dharma-Sangha) of the spiritual master, so it is a mystical rationalism with a liberating ethics open to continuing revelation, which demonstrates the reason why it transcends both the Small Way (Hinayana) and the Great Way (Mahayana), since both systems are conventional constructions or artificial taxonomies. The Reconciliatory Spirituality is a metapsychological, metaphilosophical and metapolitical Discourse which is the very evolution of Spirituality, developing a new model of consciousness, reality and conduct, in order to set the values and peoples of future. Thus, the Buddhist Socialism promotes a true paradigm shift by being a constellation of values that cross the fields of psychology, medicine, philosophy, science, politics, economy and culture. This demonstrates that the Maitriyana is much more encompassing than a mere religion, being a Pathway (Yana) or spiritual paradigm that encourages humanity to enter into dialogue with its own terminologies, comparing and contrasting it with no prejudice, as each new form of Buddhism should be critically measured in front of its Source: Siddharta Gautama. Thus, the Buddhist Socialism reconciles or unifies the old paradigms within a New Way (Navayana), by modifying the old mistakes and absorbing all the positive aspects of the past. Precisely the Maitriyana does not only unify the Small Way (Hinayana) with the Great Way (Mahayana), joining the Theravada with Zen, Pure Land, Nichiren and Vajrayana, but it also achieves a reconciling synthesis with all the knowledges and religions of the world, creating the cross-cultural manifestation that East and West have never experienced before. Consistent with Gautama and Ambedkar, the Buddhist Socialism leads the world by being the architect of a better way of life, teaching the society how to reach the Cure (Nirvana) from the evils of religion and government. Therefore, the Maitriyana is a countercultural pacifist Way that is historical, being a Neo-Buddhism or New Way (Navayana) which transcends the ancient sectarian divisions of the past. By being a Spirituality socially engaged with the welfare of humanity and the entire Earth (Gaia), the Buddhist Socialism is also a World Pathway (Lokayana) that is directed to the cultural revolution of contemporary civilization, struggling for peace, social justice, human rights and global harmony. In this sense, the Maitriyana can be considered as the Neo-Buddhism of Ambedkar, which is a third alternative or New Way (Navayana) that exceeds the Small Way (Hinayana) and the Great Way (Mahayana), but it can also be understood as the Perennial Buddhism or the One Way (Ekayana) of Siddhartha Gautama. Thus, social commitment and the revolutionary political vision of the Buddhist Socialism is the embodiment of responsibility and compassionate wisdom (karuna-prajña) of the Free and Enlightened Being (Arhat-Bodhisattva). Even if the academic and intellectual scheme of the three vehicles (yanas) of the Small Way (Hinayana), the Great Way (Mahayana) and the Diamond Way (Vajrayana), were accepted and even if the Engaged Buddhism heterodoxically were considered to as a Fourth Pathway (Yana), then the Maitriyana should be considered as the Authentic Buddhism of the Future or the Fifth Way (Yana). The Buddhist Socialism is a tradition that attempts to command the history of the world through a universal ethics. Therefore, the Maitriyana is the highest point of the practices and theories of Libertarian Spirituality, including all the mystical visions and techniques of history against the political, economic and cultural oppression. This is because the spiritual masters have always been sensitive to injustice, having the hope to build a better world and a reformed society through the Awakening (Bodhi). In fact, this passion for social justice that Buddhist Socialism possesses has influenced the traditions such as Judaism, Christianity and Islam, demonstrating that the Purpose (Dharma) of Maitriyana is to lead the peoples towards a New Era of Salvation. In the contemporary stage, the Free and Enlightened Being (Arhat-Bodhisattva) proposes a libertarian imperative characterized as the universalisation of Cure (Maha Nirvana), being this state a derivative of the conscious exercise of Choice. Unlike the ordinary individual or Homo Sapiens-Consumans, the spiritual master is a Homo Spiritualis-Compatiens who makes that Liberty is his lifestyle facing alienation, creating a new global situation in which the Awakening (Bodhi) becomes a categorical imperative. In this context, Siddharta Gautama and Bhimrao Ramji Ambedkar were the leaders of the independence process of humanity and the architects of a Pure Land, through an agnostic and heretical Way against the dominance of religions. They were postmodern beings because they hermeneutically dismantled ancient traditions in order to reassemble them in a New Way (Navayana). Thus the postmodern deconstruction that the Free and Enlightened Being (Arhat-Bodhisattva) performs unifies past, present and future, being the Buddhist Socialism a vision that thinks a new Unity of science, ethics, aesthetics and Spirituality. This sense of social Purpose (Dharma) against the oppression suggests a parallel or articulation between Gautama and Ambedkar with the Liberation Theology of the socially engaged Christendom. In this way the Maitriyana studies economic, political and cultural issues of all societies in history. The spiritual master cares about the people, to whom he loves as if they were his own children, because the Free and Enlightened Being (Arhat-Bodhisattva) has the supreme vow to save all beings through Buddhist and Postmodern Spirituality. Buddhist Socialism is a very singular spiritual movement because it transcends both the monastic life and the lay, emphasizing the libertarian meditation as a direct way to abandon the social repetition (karma) of alienating patterns. This intervention of the Awakened One (Buddha) lacks all ritualism and metaphysical speculation, being rather metapsychological, metaphilosophical and metapolitical in nature. Therefore, the Maitriyana proclaims as Noble Truth that the suffering of society is caused by the economic exploitation, the political cruelty and the cultural illusion. Consistent with Gautama and Ambedkar, the Buddhist Socialism has a Superior Purpose (Dharma) which is the human evolution, the social liberation and the Great Cure (Maha Nirvana) of the world, proposing satisfactory criteria for the establishment of a libertarian, egalitarian and fraternal civilization. According to the Maitriyana, Gautama and Ambedkar taught political, economic and cultural liberty along with a conception of equality among all human beings, so that their social doctrines are postmodern and centred on bringing the earthly Salvation of the human being. Even though it may not have acceptance among intellectuals and academics, the redefinition of Liberation proposed by the Buddhist Socialism is a real spiritual practice that produces a profound impact on the world, developing a revolutionary change geared towards the Great Awakening (Mahabodhi). In this sense, the social points of view of the spiritual master are the Light of the Purpose (Dharma) that guides the peoples from darkness to Salvation. These were the fundamental principles of Gautama and Ambedkar. The revolutionary contemplation (kakumei-zen) is a passionate pursuit of peace, justice, education and harmony, creating a mystical commune (Sangha) that works for the Good of the majority by assuming a nonviolent metapolitical position (ahimsa). Without deviating from the core of the teachings of Gautama and Ambedkar, the Maitriyana is the foundation of a new tradition of spiritual schism and reform against the political, economic and cultural status quo. This implies a break with the intellectual dynamics and the historical conventions, evolving in order to take on the challenges of the future. Precisely the postmodern thinking of Gautama and Ambedkar builds values and lifestyles on the basis of libertarian imperative, developing a hermeneutic work that interprets, innovates and evolves the Global Spirituality. Thus the Buddhist Socialism is an experience that contributes to the post-religious heresy of the Free and Enlightened Being (Arhat-Bodhisattva). In accordance with Kabir, the Maitriyana rejects the caste and social class system to replace it with a utopian vision of universal brotherhood and social reform. Although this goal is very ambitious, it is certainly inspired by the revolutionary social teachings of the great spiritual masters who are able to guide the masses towards the evanescence of violence. Therefore, the heart of the Free and Enlightened Being (Arhat-Bodhisattva) breaks into pieces by hearing the voices of suffering of those living in poverty, misery and slavery, by attending those cries for help to teach a life based on the care of oneself, since this is the best help possible. The compassionate wisdom (karuna-prajña) of Gautama and Ambedkar is reflected in the Buddhist Socialism as a process of Cure (Nirvana) from cultural, economic and political oppression towards the peoples, so it is a libertarian social reform that maintains a firm opposition to the caste division or social classes system. This is because the Maitriyana is the very embodiment of Liberty, Equality and Fraternity, always working for the cause of human rights against the evil of government and religion. Thus the Buddhist Socialism combats the concept of destiny in order that the peoples are aware about the problem of choice, emerging as a heretical voice in a world full of superficiality and banality. Consistent with Gautama and Ambedkar, the Maitriyana teaches the apprentice to change his religion in order to gain caring for himself and create a cooperative society, acquiring the power of independence and happiness to make a free, egalitarian and fraternal world. Unlike Gandhi, Buddhist Socialism believes that religion can be changed at will, because it is precisely an integral part of oneself. Ergo, the spiritual master assumes the task of changing the religious identity of society as a global research project, guaranteeing the Buddhist Spirituality as a form of supreme social equality. The Free and Enlightened Being (Arhat-Bodhisattva) devotes much time and energy to the mystical conversion or dharmic conquest of peoples through the transformation of psychology, philosophy, science, politics and religion. Therefore, the tradition of Maitriyana is an Analytical-Existential-Libertarian Discourse (Buddha-Dharma-Sangha) whose ethical criterion points to the Great Awakening (Mahabodhi) of humanity, liberating the peoples that are oppressed by social injustice and cultural intolerance. Like Jesus and Muhammad, the Buddhist Socialism has a prophetic mission for world peace, social justice, compassionate wisdom (karuna-prajña) and the interexistence of all beings. The Maitriyana emanates this message of Liberation which is the perfect antidote or Cure (Nirvana) for the poisons of greed, hatred and delusion that totalitarian governments and fundamentalist religions have put into the heart of the individual. Thus, the empirical logic of the Buddhist Socialism is heroically engaged with the Purpose (Dharma) of the Salvation of humanity and the Earth (Gaia). Only the Maitriyana is compatible with the ethical and rational solution which contemporary life demands, making the Spirituality resurfaces in the world, so that the tradition of the Buddhist Socialism is a revolutionary activism focused on bringing welfare and brotherhood to the people through detachment towards selfishness, dualism and consumerism. The spiritual master dedicates his life completely to the resurgence and dissemination of Spirituality, working for the dharmic conquest of the world such as King Ashoka did more than two thousand years ago. Like Gautama and Ambedkar, the Free and Enlightened Being (Arhat-Bodhisattva) has the vow of not dying attached to his culture of origin, by demonstrating with his life the hermeneutics of the Liberation. The Maitriyana is an Epic Way that deliberately chooses to go beyond the religious faith, establishing a Global Cultural Revolution to nurture social pluralism. The method and style of this heretical quest is the libertarian meditation, which transforms both the mind and society, showing that the Buddhist Socialism mission is carried out through the revolutionary contemplation (kakumei-zen). Following the teachings of Gautama and Ambedkar, the Maitriyana is a radical turn of the interpretation on what is the Purpose (Dharma) of Spirituality and therefore it incorporates the most important aspects of all traditions. However, even though the Buddhist Socialism is considered a New Way (Navayana), it is a revolutionary orientation but not a distortion of the central doctrine of Buddhist Spirituality, as Bhadant Anand Kausalyayan concluded with respect to Ambedkar. In this sense, the Maitriyana gives hope to humanity through a Noble Truth that shows the Path to Salvation in the here and now. Therefore its only Purpose (Dharma) has nothing to do with metaphysics or with religious rituals, but with the evanescence of suffering and misery of the world through the Path of Purification, Righteousness and Virtue. The Buddhist Socialism is precisely this ethical Path towards the evanescence of inhumanity and social injustice, promulgating the values of generosity (Dana), compassionate wisdom (karuna-prajna) and reconciliation (Maitri) as an antidote, in order to help to those who suffer. These teachings of Gautama and Ambedkar are the basis of Maitriyana, which puts an end to the ongoing and perpetual conflict among the social classes, showing the path towards the Liberation and Awakening (Bodhi) of the world, which is the Kingdom of Rightness on Earth such as Gautama, Jesus and Ambedkar have described it. This critical understanding of the Reconciling Spirituality promotes a radical ethical transformation of society, being the Supreme Turning of the Wheel of Purpose (Dharma). The Buddhist Socialism redefines the Cure (Nirvana) as a process of Liberation and Dealienation, so that it establishes a critical hermeneutics that transforms and evolves history of Spirituality, at the same time it is focused on the authentic teachings of Gautama, which are rational, logical, beneficial and accurate in meeting the needs of the people. According to the spiritual master, the teachings of Gautama have a psychoanalytical and existential message, but they have a socialist message too, teaching love, liberty, equality and fraternity. The Maitriyana is then a metapsychological, metaphilosophical and metapolitical discipline that interprets hermeneutically the canons of the sacred scriptures of all traditions, by functioning in the same way which Gautama encouraged the apprentices to think and innovate by themselves. Therefore, this movement is authentically spiritual because restores the literal ancient teachings that were lost in the past, such as the use of paradoxical dialectics; the doctrine that Buddhism is the articulation of Awakened Being (Buddha), of the Purpose (Dharma) and of the Commune (Sangha); the fact that the disciples (sravakas) can reach the Awakening (Bodhi); the idea that Spirituality has a unique flavour that is a Truth which must be verified experientially; the detachment towards orthodoxy and the proximity to the orthopraxy; the function of the non-Buddhist literature in the formation of new genres of scripture and in the proliferation of various lineages systems. The libertarian hermeneutics of Buddhist Socialism is as revolutionary as the works of Nagarjuna, Asanga and Pai-chang, being a framework that reinvents the teachings of Gautama and Ambedkar to submit an original and independent approach from any political, economic or cultural authority, because it reflects a tradition that is the very evolution of Spirituality. Despite being a radical turn of thinking, the Maitriyana does not imply a denial or betrayal of the original teaching, but it is a trans-ideological evolution just as the Great Way (Mahayana) was in its days. In this sense, it is a dialectical regression to the Source, which is beyond the ordinary conceptual forms. Consistent with Gautama and Ambedkar, the Buddhist Socialism affirms that suffering is caused by the class struggle, which in turn is caused by the passions of the individual. This social teaching of the Free and Enlightened Being (Arhat-Bodhisattva) is a radical and paradigmatic interpretation which the Maitriyana offers when continuing with the long tradition of helping those who are oppressed, as the outcast, women and children. The spiritual master believes that the cultivation of compassionate wisdom (karuna-prajña) has the potential to create a free, egalitarian and fraternal society. Thus the Buddhist Socialism seeks the Great Cure (Mahanirvana) of people through the libertarian meditation as a form of Mindfulness and Criticism about the evils of the world, such as war, class struggle, ignorance and contamination. But to achieve the Awakening (Bodhi) of humanity new changes or turns of the wheel of Purpose (Dharma) must be created. Consequently, the New Vehicle (Navayana) of Maitriyana follows Gautama and Ambedkar to propose four noble truths of metapolitical nature: first, the global civilization suffers from poverty and social injustice; second, the suffering of the people is caused by the economic, cultural and political oppression, which is expressed individually or collectively on greed, hatred and delusion; third, there is hope of building a society based on the values of liberty, equality and fraternity; fourth, the apprentice must be educated, agitate and organize a new world. By addressing both the social and the individual dimension of the process of Liberation, the Free and Enlightened Being (Arhat-Bodhisattva) goes beyond the field of psychology and philosophy to enter the political level. However, this does not imply assuming a mere position of social activism that enhances the material conditions without doing a transformation of the inner world of the subject, so that the Buddhist Socialism is a revolutionary Way towards the future rather than being a movement that simply improves the current conditions. Therefore, the only faith that the spiritual master has is that the battle for peace, social justice, education and ecology can be won. According to Gautama and Ambedkar, this battle is spiritual and not material, because it seeks happiness and not social Power. This is a battle for the Liberty and self-realization of the human being. Ultimately the Maitriyana is a Spirituality of Liberation that seeks the Cure (Nirvana) of the subjective and intersubjective experience, transforming the mind (citta) and commune (sangha) of the apprentice, so it works for direct democracy and human rights of all peoples of the world. Just like the holistic thinking of Gautama and Ambedkar, the Buddhist Socialism is an advanced training in liberal arts and social sciences that invokes these knowledges to redefine the Buddhist Spirituality and reach its high point after 2600 years on the Path in East and West. The Maitriyana leads humanity to its spiritual revitalization, so that the Free and Enlightened Being (Arhat-Bodhisattva) is an important figure in the evolution of the world, being the father of a new human species and the protector of the Earth (Gaia). Gautama and Ambedkar were so revolutionary that even figures such as Gandhi appear as minor before them, given that the New Way (Navayana) of the Buddhist Socialism fights for the abolition of the caste system and the change of religion, being this necessity a calling to which very few attend. In this sense, the Maitriyana is the most important libertarian social movement in world history, because its metapolitical and mystical thinking is an interpretive and hermeneutic framework which is not only consistent with Gautama and Ambedkar but also with the Postmodern Spirituality of the Theology of Liberation. In keeping with John Dewey, the reformist thought of Buddhist Socialism is a transcultural campaign for peace, social justice, universal education and ecological interexistence, providing the opportunity to create an enlightened and responsible society for making a better world. Precisely the Maitriyana is the Future of Spirituality for echoing this practical vision of Gautama and Ambedkar, who wanted to their mysticism remains perennial and available in all times, by having the courage to give freedom to their followers in order that they make changes according the current needs. In this sense, the Buddhist Socialism is a progressive and postmodern movement that considers that the transformation of both the State and religion is a key element for the social and transcultural revolution. This implies that the current world can become a Kingdom of Heavens through the Rightness of the people, by experiencing and practicing Spirituality by means of a New Way (Navayana), which is nothing less than the Golden Path to the evanescence of the social crises. Just like the Theology of Liberation, Maitriyana does not attempt to save a single human being as a separate and independent cell, but rather it aims at achieving the Salvation of the social organism, by not taking the human being to Heaven but transforming the life of the Earth (Gaia) into a divine Kingdom of Harmony. This is the main feature of Postmodern Spirituality and the praxis of the ethical reform of Buddhist Socialism, which considers Gautama and Ambedkar as leaders of the values of liberty, social justice and world brotherhood. In accordance with the Theology of Liberation, the Maitriyana creates a dialectical synthesis between the marxist teachings and the compassionate wisdom (karuna-prajña) of Gautama and Jesus in order to liberate humanity from alienation and social oppression, bringing hope and optimism to the peoples suffering. The Buddhist Socialism considers Gautama and Ambedkar as postmodern figures of the spiritual tradition of the future, so that they are examples of the libertarian imperative as a heretic exercise that transforms the religious status quo according to the needs of the community. Thus the Maitriyana is a set of ethical and critical values which faces the absolutist and repressive movements, producing the spiritual conversion of the world through an intuitive rationality. The Postmodern Spirituality of the Buddhist Socialism is a Meta-Discourse (Maha-Sutta) that explicitly appeals to the Great Purpose (Maha-Dharma) of the revolutionary spiritual action. By being departed from the religious faith, the Maitriyana approaches to metapsychology, metaphilosophy and metapolitics of the libertarian tradition. However, this Meta-Discourse (Maha-Sutta) goes beyond the classical formulations of the world cultures, because it meets the needs of Waking up (Bodhi) the whole humanity and the Earth (Gaia). Thus, this revolutionary Path of the Buddhist Socialism is a global vision that transforms the personal and social field, believing that Spirituality is concordant with the demands of pacifism, social justice, direct democracy and environmental wellbeing. Just like Gautama and Ambedkar, the Maitriyana believes that religious systems of the past must be transformed according to the current spiritual needs in order to provide principles of Liberty, Equality and Fraternity among the peoples. Ultimately, the engaged vision of the Buddhist Socialism is not merely the creation of a New Way (Navayana) of Spirituality, but rather the rediscovery of the ancient Only Way (Ekayana) of Siddhartha Gautama, whose spiritual acts were symbols of the indispensable values for the Salvation of society. 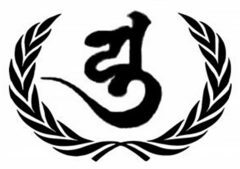 But certainly the revolutionary contemplation (kakumei-zen) provides rich resources for a hermeneutics of the Liberation able to bring hope and a new spiritual identity to the oppressed peoples of the world, sowing the generations of the coming socialist civilization. In accordance with Marx, the Gautama-Ambedkar articulation is the architect of a new political, economic and cultural vision called Maitriyana, which encompasses different fields of thought. However, the Buddhist Socialism is a Spirituality that transcends the categories of the old and the modern, because it assumes an attractive postmodern position devoid of all prejudiced attitude. Thus the spiritual master reveals that the teachings of Gautama are the perfect guide for any social revolution, because they go beyond psychology and philosophy. According to the Free and Enlightened Being (Arhat-Bodhisattva) Spirituality is absolutely necessary for liberty, equality and fraternity of society, thus differentiating from the metaphysical and religious speculations to become a lifestyle tending to Salvation and Cure (Nirvana) of humanity. The Maitriyana Spirituality then is centred on ethics and not superstition, having the function of rebuilding the world and bringing happiness to society through the high ideal of Detachment towards private ownership. Therefore, the spiritual master never leaves the spirit of brotherhood and reconciliation (maitri) towards the fellow beings. Just like Marx, the practice and theory of Buddhist Socialism is a mystical science or libertarian meditation facing capitalism. The doctrine of Maitriyana has a Utopian Purpose (Dharma) which is the establishment of a new world, stating the thesis that the Great Awakening (Maha Bodhi) of society is an inevitable and inescapable event if humanity wishes to survive its consumerist self-destruction. Thus the metapolitical objective of the Free and Enlightened Being (Arhat-Bodhisattva) is to rebuild the civilization and not explain metaphysical questions, transforming the economic, political and cultural force that leads the history of humanity. Therefore, the Buddhist Socialism is a New Way (Navayana) which allows putting an end to the eternal conflict among the social classes of the rich and the poor, banishing greed, hatred and ignorance that people who are attached to money have. Through the ethics of Detachment, the spiritual master leads the subject to the true wealth which results from the Libertarian Spirituality of the Maitriyana, whose social conversion is the greatest revolution in history. But unlike the authoritarian communism, the Buddhist Socialism does not attempt to capture the State Power neither establish a dictatorship of the people, not only because the socialist civilization is an irresistible and inevitable event, but because the original base of the future must be the direct democracy. In accordance with the vision of Marx, the metapolitical corpus of Maitriyana allows the survival of humanity by critically overcoming the capitalist system, planning a pacifist revolution for everyone. From the experience and libertarian vision of Gautama and Ambedkar it is accepted as accurate the thesis that it is inevitable the economic, political and cultural system of the Buddhist Socialism. Thus, the metapolitical function of the Free and Enlightened Being (Arhat-Bodhisattva) is to rebuild the world and not waste time on metaphysical matters, leading the peoples towards the Cure (Nirvana) of social conflict and monetary exploitation by means of the right conduct, Detachment from private property, the tranquillity of Being, the peak knowledge (Satori), the clear vision and Awakening (Bodhi). Only these practical values can banish the misery caused by the class struggle, turning society into a Commune (Sangha) of liberty, equality and fraternity. Due to Gautama and Ambedkar confronted the misery and exploitation, therefore, the Maitriyana is not far from Karl Marx, seeking the evanescence of possession or private property. This is the foundation and basis of the new social genesis which Buddhist Socialism seeks, whose best testimony of detachment and non-possession have been the rules of the Commune (Sangha). Although at first glance it may be considered that ethical rules of contemplative monks and apprentices are much more rigorous than those of authoritarian communism, the Maitriyana certainly proposes right means but without resorting to violence. Therefore, the Cure (Nirvana) gives birth to a New Way (Navayana) for the communist gospel, because the Buddhist Socialism contains the key to solution to the world problems, such as poverty and unhappiness. The Maitriyana has the Salvation of humanity as its fundamental Purpose (Dharma), recognizing the right means transmitted by Gautama and Ambedkar to be capable of banishing oppression and alienation of the people: protecting life, generating wealth, telling the truth and maintaining purity in body and mind. Obviously, this has practical implications for the subject, although at a social level it clearly implies that the Buddhist Socialism is ecological, anti-capitalist, democratic and it combats prostitution and the drug trade, unlike the vast majority of countries. Only in this way the world can achieve the evanescence of the evils of war, inequality, ignorance and pollution. To do this, Gautama and Ambedkar prescribed the Way of Rightness in vision, thought, speech, conduct, lifestyle, effort, attention and contemplation. This leads to an intelligent, honest, friendly, open, peaceful, pure, persevering, active, mystical society that is free from superstition. Consistent with Gautama and Ambedkar, the objective of the Ninefold Noble Path of Maitriyana is to establish a kingdom of Rightness on the Earth (Gaia), in order to banish suffering and dissatisfaction of the people. This revolutionary doctrine is the Gospel of the Buddhist Socialism, whose realization is the Great Awakening (Maha Bodhi) of society after overcoming the obstacles of selfishness, doubt, ritualism, passion, evil, repression, metaphysics, pride, narcissism and ignorance. This allows the apprentice is able to open his eyes and realize that he is only a small part of a Whole in a constant impermanence, which is the cultivation of the experience of higher and amplified state of consciousness (HASC). The metapolitical doctrine of Maitriyana inculcates the practice of ethical virtue in the everyday life of humanity by promoting the compassionate wisdom (karuna-prajña), renunciation (nekkhama), solidarity (Dana), vitality (viriya), tolerance (khanti), Truth (Succa), determination (adhitthana), reconciliation (maitri) and equanimity (upekkha). When these ethical virtues are practiced to the maximum it is created a free and enlightened society that puts an end to the world misery and suffering. But this global spiritual conversion can only occur voluntarily, because the ethical change and liberty cannot be imposed. This differentiates the Buddhist Socialism with respect to the authoritarian communism, never resorting to means of violence or popular dictatorship for establishing the social change and a new economic, political and cultural system. However, Maitriyana confirms that both Gautama and Ambedkar have had common purposes with Marx. Indeed, the Buddhist Socialism is against violence, but this does not mean that it assumes a passive position to the oppression of the status quo, but rather it is always working towards justice. Like Gautama himself pointed out to Commander Sinha Sennapati, defence is permitted when it is in the interest of Truth, justice, Liberty, equality and fraternity. Pacifism must never mean submission, but rather struggle through superior means or compassionate and benevolent struggle. But one never has to fight for selfish purposes nor by dualistic or consumptive purposes. Although establishing a new world involves the destruction of the previous, the integrative and reconciling vision of Maitriyana does not use violence nor use dictatorial force of the authoritarian communism. Thus the Buddhist Socialism follows to Gautama and Ambedkar, who were born and died as democrats despite having lived both during times of monarchy. Therefore, the spiritual masters are lovers of the republic and equality, by rejecting any kind of individual private ownership, even if it is the case of a scarf for cold, since every belonging is of the Commune (Sangha), such as Gautama taught to Mahaprajapati Gotami. In fact, the Commune (Sangha) has the most democratic constitution of history, never having a power head or dictatorial control. Therefore, only the Purpose (Dharma) is the Supreme Commander of Maitriyana, this being a spiritual movement that has a non-dictatorial leadership and that is based on popular support. The aim of the Buddhist Socialism is to conduct a Perennial Revolution but without disrespecting the human life and values of liberty, equality and fraternity. This means it does not repress those who criticize or think differently, making it something different from authoritarian communism. In this way, the use of force must be the last resort and never the first. The real power, according to the Free and Enlightened Being (Arhat-Bodhisattva), does not come from violence nor from the governmental or religious authority, but from reconciliation, kindness and hope. The Maitriyana is governed by the Law of Rightness and not according the Law of Force, by protecting the peoples and the Earth (Gaia) through the Celestial Wheel of Purpose (Dharma). In order to create a libertarian socialist civilization, the Buddhist Socialism follows the example of Gautama and Ambedkar not conquering through the sword but through rightness. This is the supreme duty of a Monarch of the Spiritual Turning, by renouncing the Power to devote to the commitment of helping of society and becoming a spiritual sovereign of the world. Given that the Maitriyana is a synthesis of East and West, it is a Global Spiritual Path which meets with the socialist mission of King Ashoka of the Ancient India, showing the Way to the Great Cure (Mahanirvana) from the evils of the world, such as war, poverty, ignorance and contamination. Definitively, what seeks the spiritual master is that the subject is ethically trained to be a sentinel for the Kingdom of Rightness. The Buddhist Socialism states that the concept of permanent dictatorship is not only a political mistake but it is also a philosophical one, because Freedom cannot be imposed. In addition, when a popular dictatorship is carried out it tends to spread itself rather than keep safe democracy. The Free and Enlightened Being (Arhat-Bodhisattva) points out that any dictatorship of the people must be quickly liquidated itself after overcoming the obstacles in the Way of the direct democracy of society. Therefore, the world peace can only happen by means of the practice of self-disarmament. The Maitriyana provides a satisfactory response about how to replace the oppressive Power of the State and religion, by teaching that only the Libertarian or anarchist Spirituality can perform the true communism. But the only thing which can make the humanity does not resort to violence and chaos is the spiritual guidance of the Awakened Ones (Buddhas) such as Gautama and Jesus, who showed the value of humility, compassion and wisdom to save the world and establish a Kingdom of peace, justice, knowledge and equanimity. The Buddhist Socialism coincides with Marx that religion is the opium of the people. However, the Libertarian Spirituality does not match with the oppressive methods of authoritarian communism, which seek to eliminate religion and not its purification, transformation or Sublimation (Nirodh). The Maitriyana does not have any metaphysics, so that it seeks to create a Kingdom of Rightness on the Earth (Gaia) and not in Heaven, curing the world from the evils of war, poverty, ignorance and contamination. But in order that the people have peace, wealth, knowledge and harmony, the apprentice must cultivate commitment, virtuous conduct, libertarian meditation and compassionate wisdom (karuna-prajña). This implies that the subject must work for a better world, respect life, donate, care for women and children, tell the Truth to society and combat the vices of drugs. Therefore, the revolutionary vision of the Buddhist Socialism is a lifestyle that purges humanity from the poisons of greed, hatred and delusion generated by capitalist civilization, which is contrary to happiness and justice in society. Although the authoritarian communism was not aware of this fact, the Spirituality of Gautama and Ambedkar is the definitive aid for maintaining the true communism (Sangha) without resorting to the force or dictatorship, being a model that can be applied both at a Community level and at governmental level. The libertarian commune (Sangha), founded by Gautama 2600 years ago, is a republican and democratic organization, being something that Lenin and others failed to build. The method of the revolutionary contemplation (kakumei-zen) of Maitriyana is a miracle because it is the integral transformation of the human being, helping them to change their minds and attitude in order to thus consciously assume a Way beyond the compulsion to mental illness and institutionalized violence. This is what the Awakened Ones (Buddhas) of the history have consistently taught, who never forced people to do what they thought it was right or good, but rather they simply sought spiritual evolution of humanity so that it voluntarily assumes the change and the values of Liberty, Equality and Fraternity. In this sense, although the authoritarian or dictatorial communism has undeniable achievements in the field of education and health which can be implemented in all countries, certainly it tends to the permanent dictatorship, which paradoxically goes against everything which Marx as well as Gautama and Ambedkar taught. Thus the Buddhist Socialism is not only a revolution in the field of economics, politics and culture, but also in the field of human rights and spiritual values, these last being completely unattended by the authoritarian or dictatorial communism. Although capitalism and religion are evils in the world, they cannot be combated through other ills, but they must be confronted through the proper means, which are the essence of Buddhist Spirituality. Humanity must grow materially, but the correct means of doing so are through Spirituality. This social reform is the objective of the New Way (Navayana) of Gautama and Ambedkar, whose spiritual values can be summarised as an articulation of Liberty-Equality-Fraternity. Whilst the French Revolution failed to produce Equality, the Soviet Revolution did not fail in doing that. However, as the spiritual master indicates, authoritarian communism often fails to produce Liberty or Fraternity. Therefore, the Maitriyana is an Integrative or Reconciliatory Revolution precisely because it addresses these three spiritual values, considering that anyone of them lacks value without the presence of the others. In this way, the Buddhist Socialism follows Ambedkar and theorizes that Liberty-Equality-Fraternity can only coexist if one follows the New Way of the Awakened One (Buddhanavayana). Christopher S. Queen, Introduction: A New Buddhism. Harvey B. Aronson, Love and sympathy in Theravada Buddhism. Duncan Ryuken Williams and Christopher S. Queen, American Buddhism: methods and findings in recent scholarship. David W. Chappell, Searching for a Mahayana social ethic. Georges Dreyfus, Meditation as ethical activity. R. S. Cohen, Discontented categories: Hinayana and Mahayana in Indian Buddhist History. Hans Küng, Theology for the Third Millenium: an Ecumenical View. Dhananjay Keer, Dr. Ambedkar life and Mission. David R. Griffin, Varieties of Postmodern Theology. Christopher S. Queen, Dr Ambedkar and the Hermeneutics of Buddhist Liberation. D. C. Ahir, Dr Ambedkar on Buddhism. B. A. M. Paradkar, The religious quest of Ambedkar. Joanna Rogers Macy and Eleanor Zelliot, Tradition and Innovation in Contemporary Indian Buddhism. B.R. Ambedkar, The Buddha and his Dhamma. Robert A.F. Thurman, Buddhist Hermeneutics. Ronald M. Davidson, An Introduction to the standards of scriptural authenticity in Indian Buddhism. B.R. Ambedkar, Annihilation of caste. B.R. Ambedkar, The Buddha and the Future of his Religion. Walter Rauschenbusch, Christianity and the Social Crisis. G. Gutierrez, A Theology of Liberation. Dr. Babasaheb Ambedkar, Buddha or Karl Marx.